INCREASE your player satisfaction and REDUCE your stress during a tournament! The software for tournaments offers an event director a complete system that works online. It makes running an event simple, convenient, and reliable! It is fully integrated with the the R2sports ranking software and membership software to offer sport organizations an online software package. The R2sports online software for tournaments now works with all the individual and team sports that are listed on the right side of the page. No software to download. This allows the director and players to access tournament information from any computer or cell phone with internet access. The setup wizard guides you through the setup steps. Multiple directors can edit draws and set match times simultaneously. Run live tournaments over multiple venues and fans can follow bracket updates in real time and view the tourney bracket maker results summary. Once the director goes through the setup wizard, a tournament website is automatically created. No need to know HTML, use the content manager to modify your home page. It is quick and convenient for entrants to register online. Participants can update their own information and select which divisions they want to enter which minimizes data entry errors and frees up the directors time from having to enter players manually. Registrants entering online through the software tournament application are immediately placed on the participants list in real time so they can verify their entry. An email confirmation receipt is also sent to them. The bracket maker seeding feature gives the director the ability to quickly create a draw. Assign seed numbers next to some of the division entrants if desired, then click the link to start generating the bracket. The direct can choose to convert the divisions to different bracket formats depending on the number of competitors have entered and how many games that you want to guarantee. In events that allow players to enter multiple divisions, it is difficult to manually set times on paper without causing conflicts, becuase lot of information has to be cross referenced. The R2 sports software for tournaments makes it easy to set times for tournament draws and use the color coding charts to avoid causing conflicts while scheduling. The auto scheduler is also available to schedule match times conflict-free. Tournament staff can run a live event on the tournament planner time grid. This grid is automatically created when match times are scheduled. Staff can assign a match or game to a specific court, ring, or field. When the game is over, click on the winners name and enter the scores. Tournaments directors running an event across multiple venues can take advantage of the built in instant messenger chat feature. It allows directors to communicate with each other while working in the system. Directors can easily change registration website home page message to inform visitors and players of new information or important changes. Use the email blaster in the membership program to send an email ad out to players in 5 different states, or send an email notification to all participants registered for the event letting them know starting times are ready or other important information. Fans, parents, friends, media, can all follow the run match reports during a live tournament as directors update game scores. Participants can get online from their hotel room to check their next game time and see who their opponent is. Automatically Know How Much Entry Fee Revenue you bring in. As people enter online, and as the director enters mail and phone entries manually, the accounting section tracks amount due, payment types, membership dues, and additional items purchased during registration. Print the tournament management check-in list lists to verify people and teams have paid their full entry before allowing them to play their first game. On the tournament director home page, the maximum number of participants estimator that indicates the highest number of entrants your tournament can have at full capacity. Find a tournament player by generating participant search reports. Create media reports for upcoming matches or game results. Get your tournament online now. 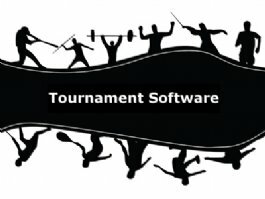 Find your sports category and select the sport in which you would like to software tournament management system. 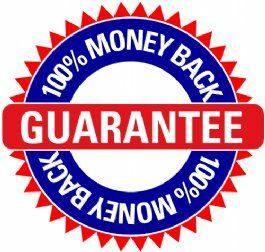 We offer a 100% money back satisfaction guarantee.